Hello everyone! Just a friendly reminder that our June AEI♥U Challenge ends this Sunday! This isn't just any challenge. The winner will be our guest designer for August. How great is that? I must say that the entries this month so far are AMAZING!! The winner will receive two stamp sets, will be required to make at least two projects per stamp set, will receive a special guest designer badge for their blog (if they have one), and will be featured throughout the month of August on the Avery Elle blog. The challenge for this month is to create a project based on this sketch created by our very own Nina Yang. Not only does Nina design fun products for us, she also creates sketches based on them for all to see here. For all of the entry details click here. In honor of June being Avery Elle's first birthday and this being the last week of June, we thought that it would be fun to do one last giveaway. All week long our fabulous design team will be creating projects using their favorite Avery Elle products. Everyday this week, you can center to win this custom Avery Elle 4 x 6" address stamp set with your personal information on it. Due to the custom nature of this set, it will not be available for purchase in our store. *Please note that it will take approx. 4 weeks from the time the winner contacts us to the time the winner will be shipped the set. * Scroll all the way down to the end of this post for the giveaway details. I love that Heather created two totally different cards for this week. She used our Oh Happy Day & Petals & Stems stamp sets to create this gorgeous and soft card. The stitched vellum is the perfect touch. 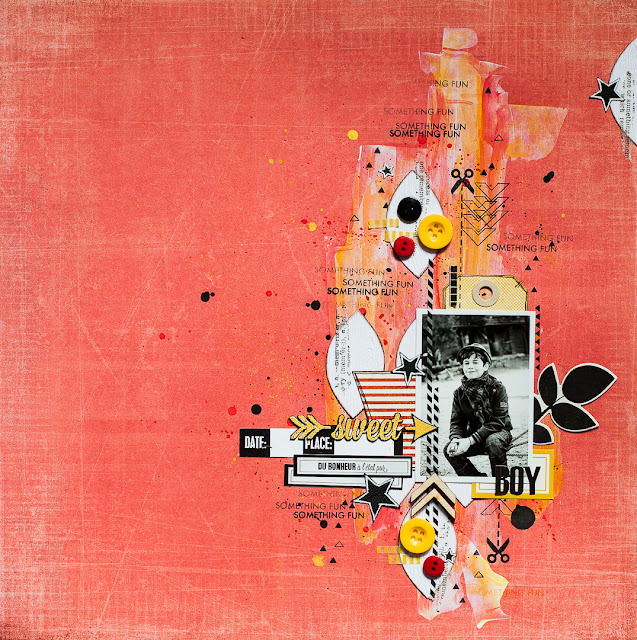 She used our Oh Yeah, All Squared Up, Simply Tags: Everyday and Air Mail stamp sets to create this bold, graphic and fun card. This card is right up my alley and I LOVE it! 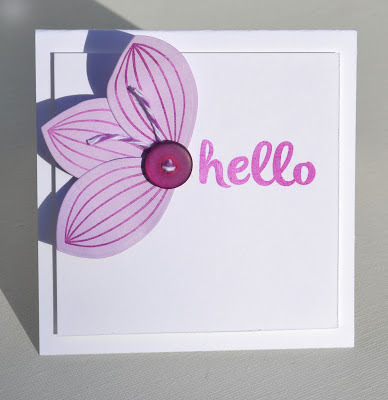 JJ created this fun card using our Petals & Stems stamp set and dies and Simply Tags:Everyday stamp set and dies. I love the way she shaded the large bloom and added touches of gold. Fabulous! To enter to win just comment on this post. There is no purchase necessary and you must be 18 years of age or older to enter. This giveaway is void where prohibited. You can also do options 2, 3, 4, 5 or all 6 of the following to increase your chances on any or all blog posts this week from today, 6/24, through Friday, 6/28, at midnight PST. The winner will be selected at random and announced on the Avery Elle blog on Monday, 7/1 . Good Luck!! Thanks so much for all of your enthusiasm this week! In honor of June being Avery Elle's first birthday and this being the last week of June, we thought that it would be fun to do one last giveaway. All week long our fabulous design team will be creating projects using their favorite Avery Elle products. Everyday this week, you can center to win this custom Avery Elle 4 x 6" address stamp set with your personal information on it. Due to the custom nature of this set, it will not be available for purchase in our store. *Please note that it will take approx. 4 weeks from the time the winner contacts us to the time the winner will be shipped the set. 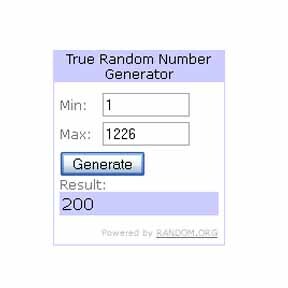 * Scroll all the way down to the end of this post for the giveaway details. I always seem to have a "new" favorite each month. So sticking with that theme, I created this card using our Oh Happy Day clear stamp set. I lightly drew an oval in the center of my card and stamped the flower images included in the set around it. I flipped a few of the stamps over and stamped with their backside to create the solid flower images. 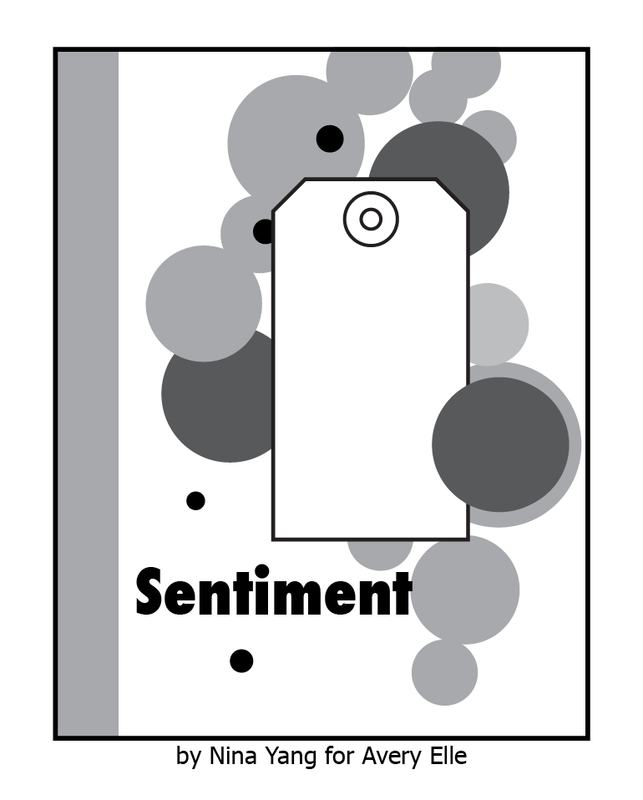 The For You sentiment fit perfectly inside the stamped oval. I had a lot of fun creating this card and isn't that what it is all about?!? 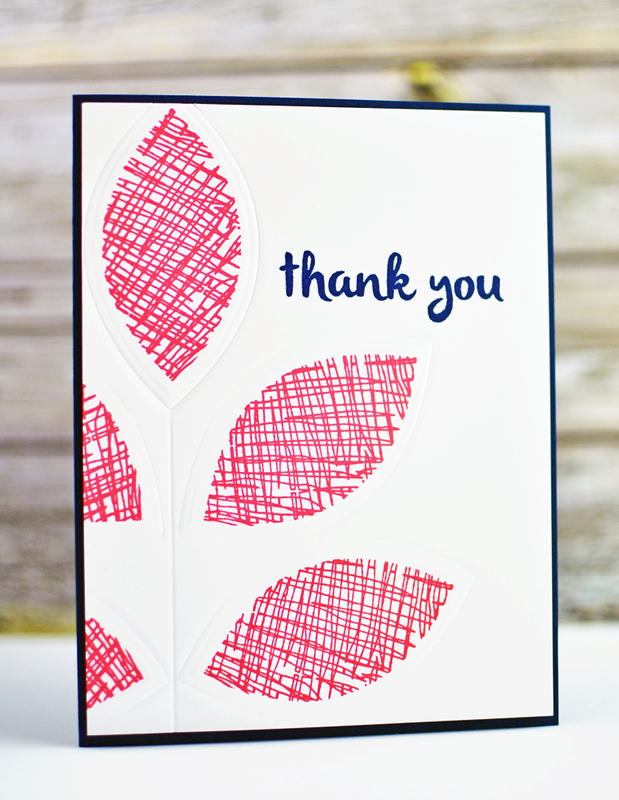 Maska created this fun project using our Simply Tags: Everyday, Petals & Stems and Oh Yeah clear stamp sets. I love all of the layers and the negative space she left on this page. 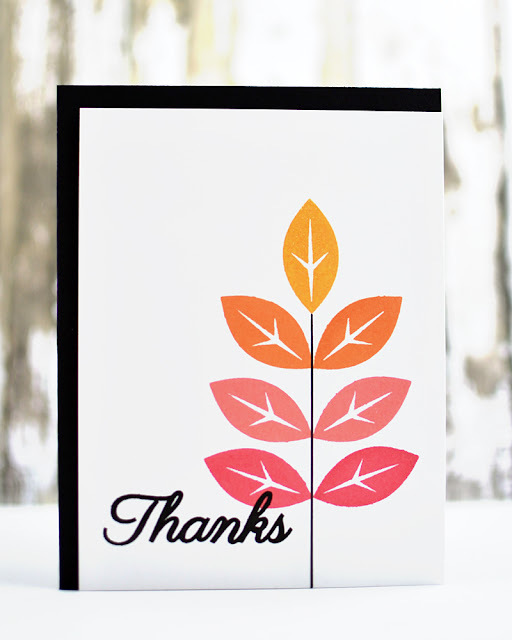 Our fabulous Guest Designer Jen Rzasa created this using our Modern Leaves stamp set. It has been such a pleasure having Jen with us this month. I think that we can all agree that her projects have been beautiful and inspiring! 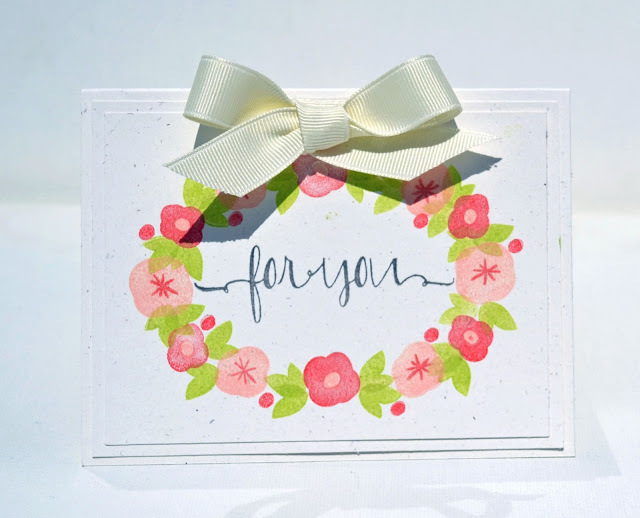 Kasia created this clean, simple and pretty card using our Petals & Stems and Handwritten Notes stamp sets. Don't you think that someone will love receiving this sweet note in the mail? 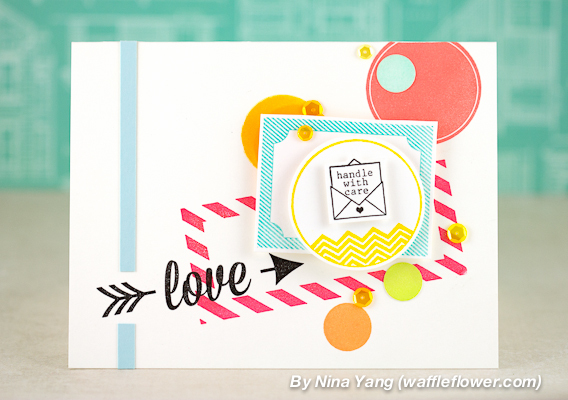 Chunyuan used our To The Point and Oh Happy Day stamp sets to create this fun card. I love how all of the patterns play off one another. 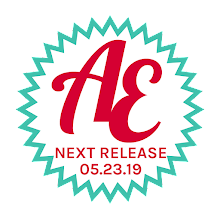 Avery Elle Favorite Project Week & Giveaway! 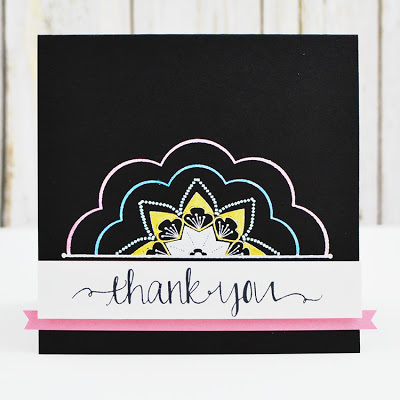 I love the way Nina combined all of the patterns on this card - stripes, circles and chevrons Oh My! 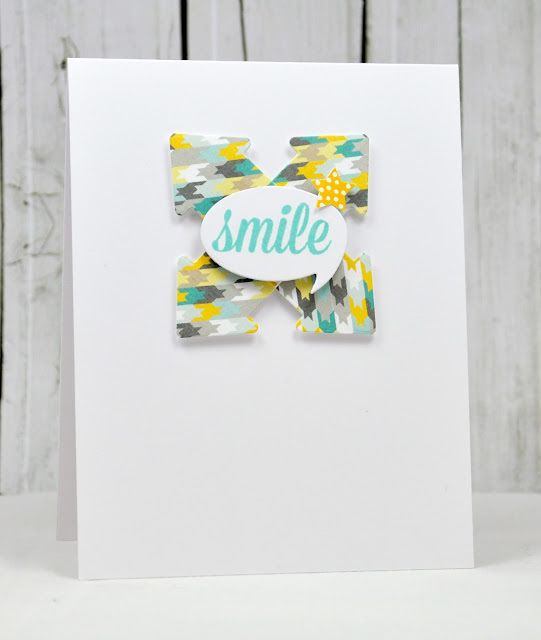 ;) Her bright and cheery color choices set off the images perfectly. Be sure to check out Nina's blog for more details. 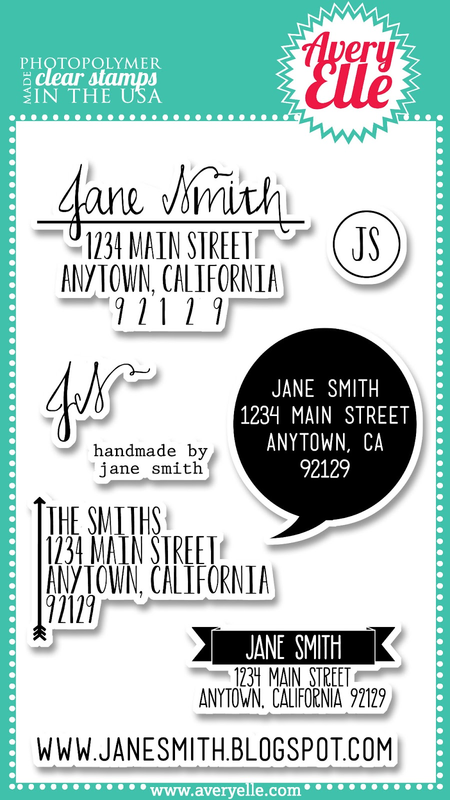 Stamps: Air Mail, Bright Days and Oh Yeah clear stamp sets. Cardstock: Ultra Smooth Pure White and Sea Glass. All inks by Tsukineko. 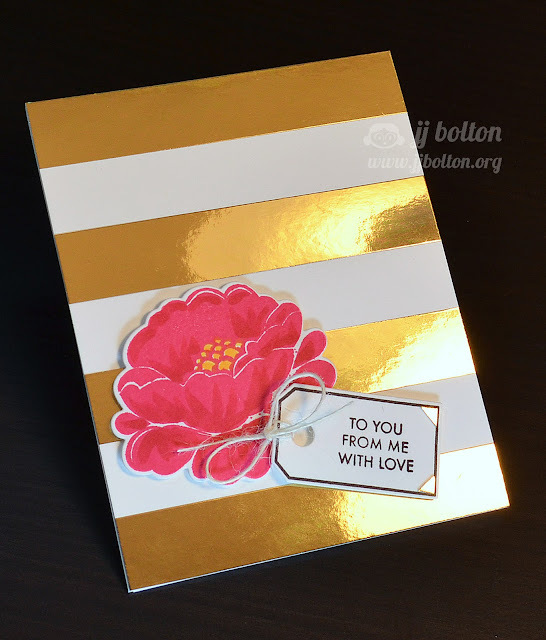 Donna created this gorgeous card. 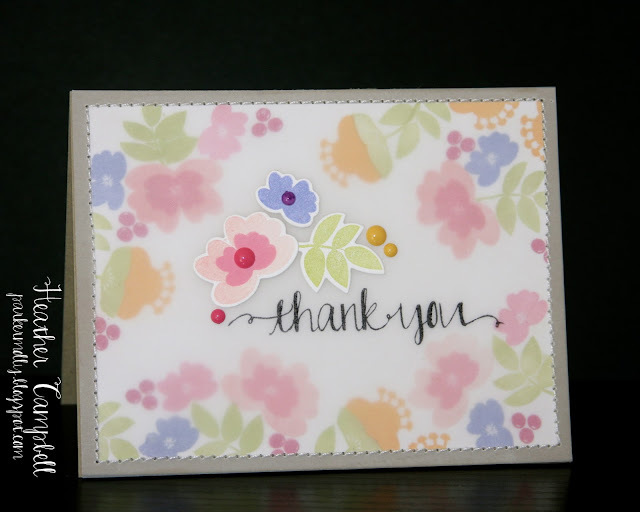 I love the way the bold sentiment and soft flowers play off of each other. So pretty! For more details, visit Donna's blog here. Hello everyone! Just a friendly reminder that there is a little over one week left to enter our June AEI♥U Challenge! This isn't just any challenge. The winner will be our guest designer for August. How great is that? I must say that the entries this month so far are AMAZING!! Heather is with us today and created this stunning card using our Papel Picado Banners clear stamp set. I love the happy and festive feel of this card. She masked off some of the images to create a single layer card that has depth. Brilliant!! Today we have a lot of inspiration for you. 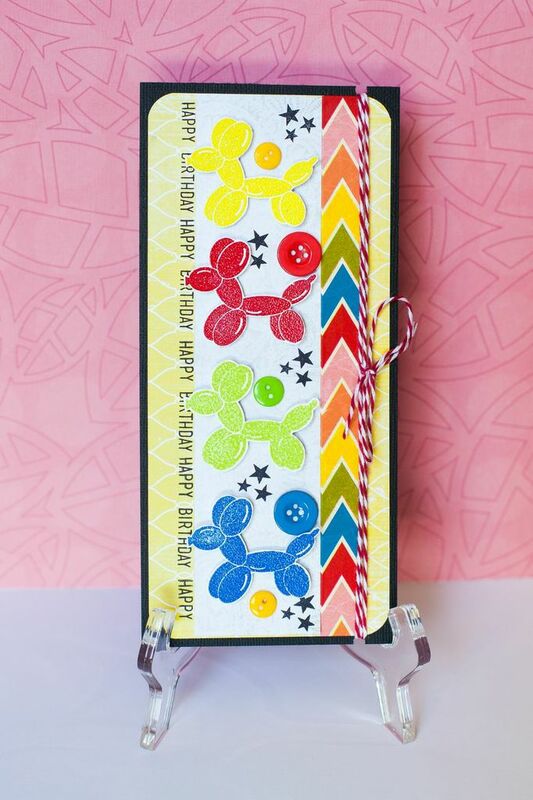 Jen Rzasa created these fun cards using our Oh Happy Day clear stamp set. I love the way the sentiment is raised up onto the tag in this first card. Such a fun detail. The contrast in this next card by Jen is fantastic. The sentiment pops against the dark background. So pretty! 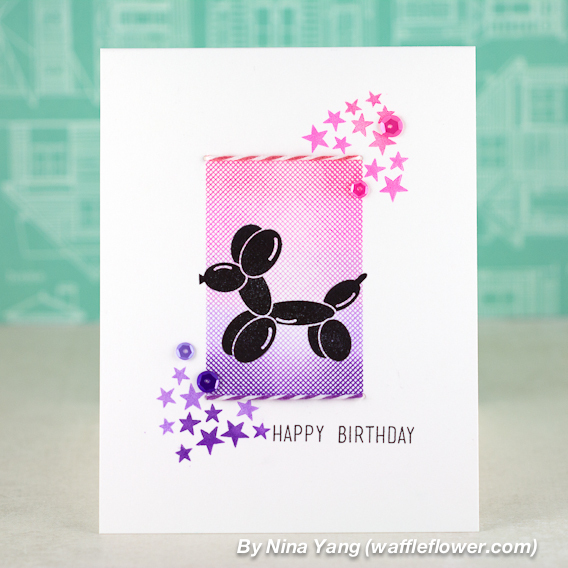 Maska created this card using our Party Animal clear stamp set. The festive balloon animals are so fun. Who wouldn't love to receive a card like this? I created this last card using our Modern Leaves clear stamps and dies. 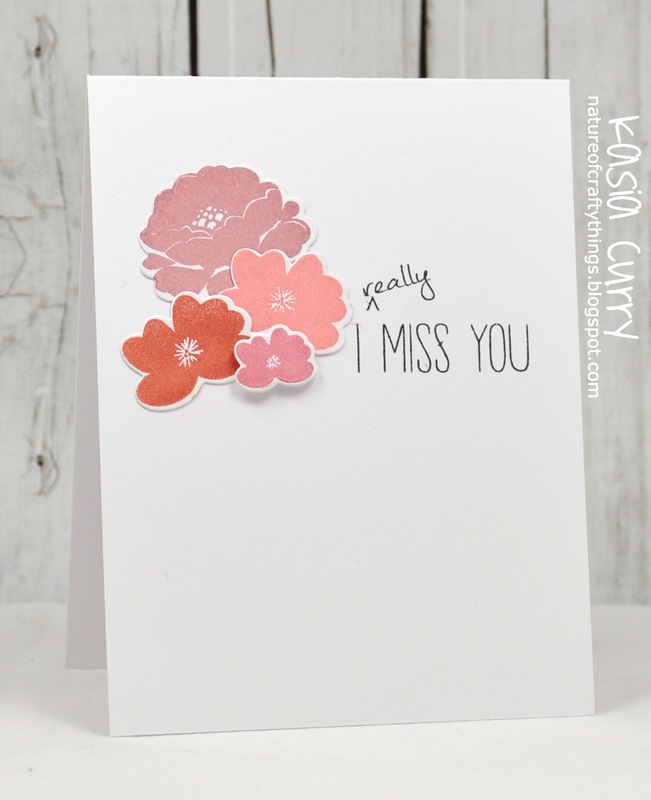 I created flower petals to add dimension and highlight my sentiment. I don't usually use a lot of purple, but am glad that I did here. Kasia is with us today and created this fun card using our Oh Yeah clear stamp set and the coordinating dies. 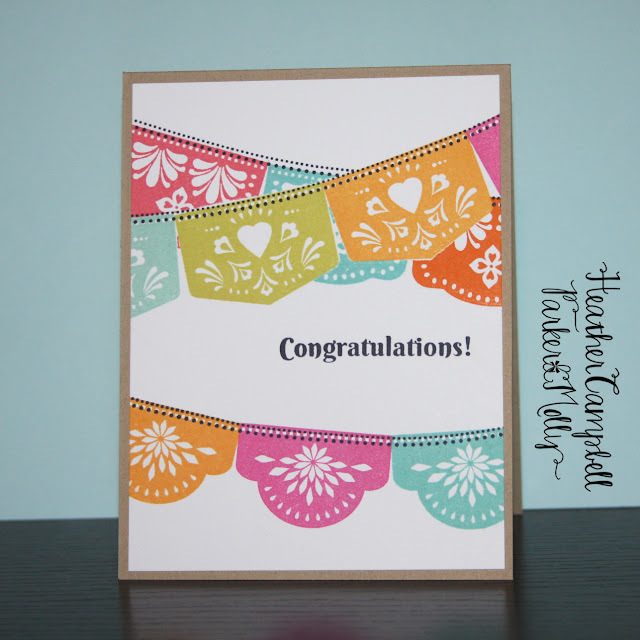 I love the patterned paper she chose and modern color choices. Chunyuan used our Texture Tiles: Be Cool clear stamp set to create this fun striped background for the boat from our Knotty stamp set. No masking is necessary here...love that! Chunyuan also created this fun checked background using Texture Tiles: Be Cool, added some flowers from Petals & Stems and a sentiment from Oh Happy Day. I love all of the possibilities that our Texture Tiles set provides. Nina's Party Animals and the winners! Today we have Nina with these fun projects using our Party Animal clear stamp set. 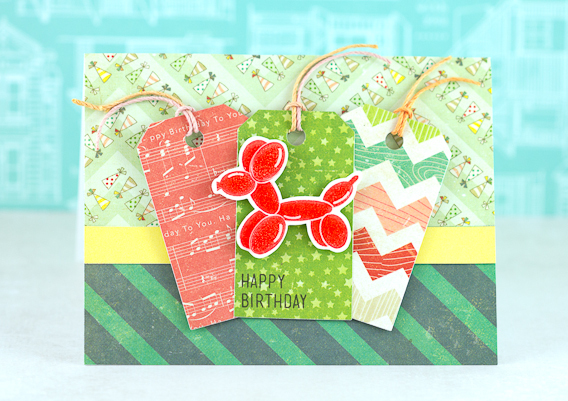 I love how she stamped our little balloon animal on top of one of the stamped tile images from our Texture Tiles: Be Cool set. Texture Tiles has so many possibilities and I cannot wait to try this myself. Kailash for a $50 gift certificate to Avery Elle. Both your cards are so pretty!! And Amy for the Imagine Crafts / Tsukineko product prize pack. Congratulations! 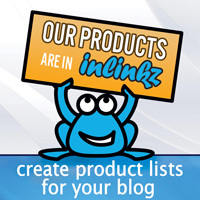 Please contact us at customerservice@averyelle.com so that we can get your prizes to you. Hello everyone! I am so excited because our June AEI♥U Challenge is starting today!!! This isn't just any challenge. The winner will be our guest designer for August. How great is that? 2. You may enter as many times as you wish. 3. You may enter a project that you have created previously. 4. 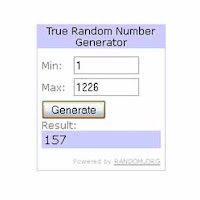 The winner will not be chosen randomly. We will be looking for entries that include great use of color, design & creativity. 5. You will have two weeks to enter. THE DEADLINE TO ENTER IS SUNDAY, JUNE 30th. THE WINNER WILL BE ANNOUNCED ON MONDAY, JULY 1st. I cannot wait to see all of your amazing creations! 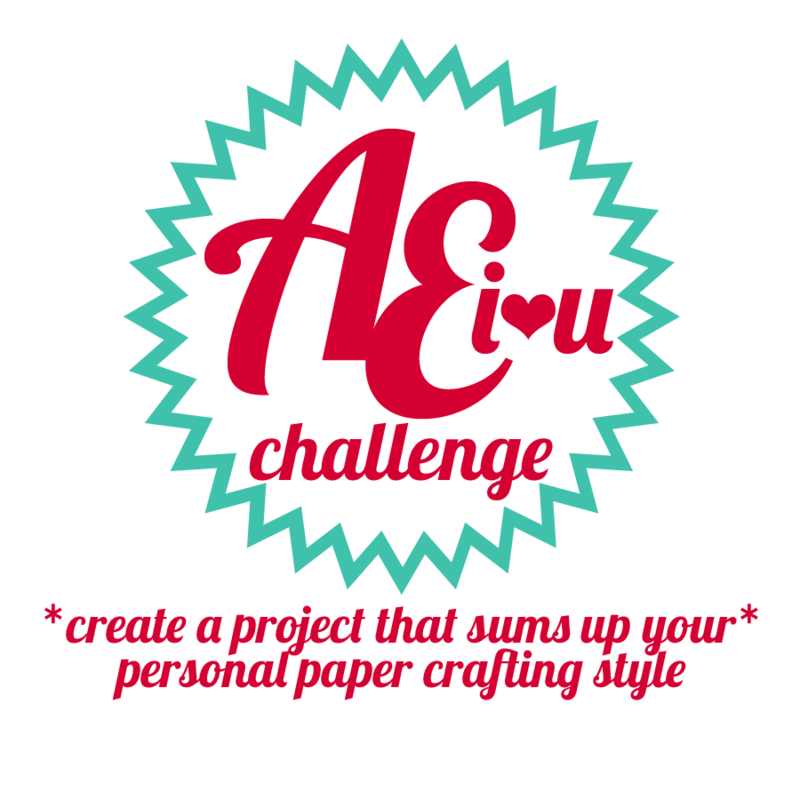 Please add a direct link to your AEI♥U Challenge entries here. Good Luck! Today we have JJ with this fabulous card. 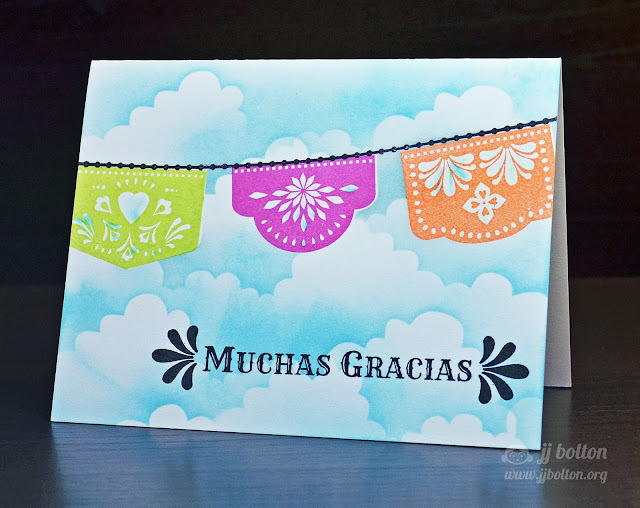 She used our Papel Picado Banners stamp set to create this fun thank you card. I just love the clouds and festive feel! Inspiration from Jen and Maska!! 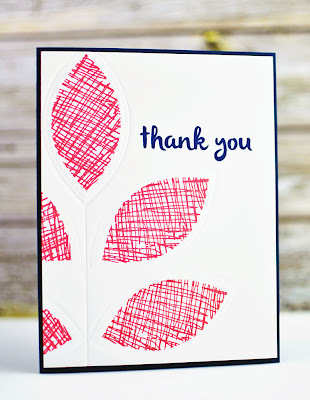 Today we have Jen Rzasa with this terrific card she made using our Modern Leaves clear stamp set. I love how she embossed with the die to create the subtle outline around each leaf. That little bit of dimension is the perfect touch. Be sure to stop by her blog for more details. I also wanted to let everyone know that we will not be shipping any orders from 6/19/13 through 6/28/13. All orders placed by 5:00pm PST 6/18/13 will ship before this closure. Orders placed on 6/19/13 through 6/28/13 will ship on Monday 7/1/13. We appreciate your patience during this time. If you have any questions or need any assistance, please let us know. Texture Tiles and Modern Leaves Inspiration! Kasia & Chunyuan Are With Us Today!